Following on the heels of the re-released 15mm Teutonic Order and Polish figures for the Battle of Tannenberg (Grünwald) 1410 come the Lithuanians. 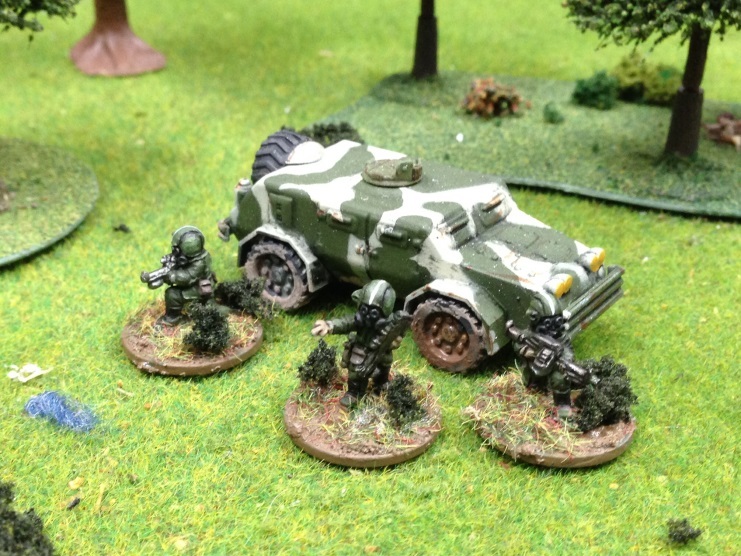 Formerly produced by Oddział Osmy of Poland, these figures are now available through Fighting 15s. 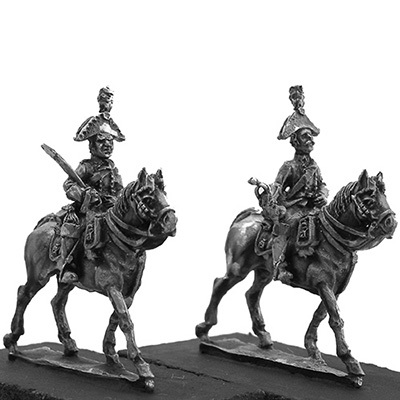 Each pack comprises four mounted figures with horses and costs £3.20 including VAT. There’s an option to add three extra figures to pack ML02 to boost the number of standard bearers and retainers. The figures have been remastered, the original two-piece horse casting changed to one-piece castings, and new production moulds made. Figures come with a selection of cast weapons, and assembly is required. The figures are listed in the New Arrivals section of the Fighting 15s website. Fighting 15s restores former Oddzial Osmy cavalry to the line. 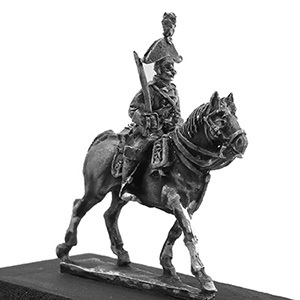 Fighting 15s has re-released the 15mm 1809 Saxon chevaulegers formerly made by Oddzial Osmy of Poland. The chevaulegers have been remastered, have new production moulds and now come with one-piece horses, rather than the two-part horses of the originals: riders are still separate from the horses. 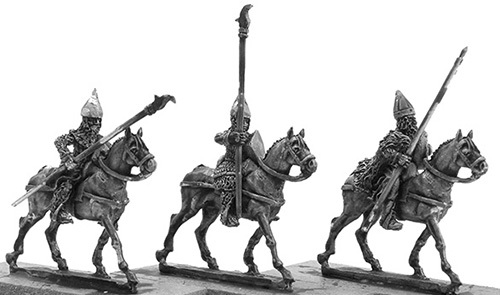 Figures are priced at £3.20 for four identical troopers and £1.60 for two command figures, with a standard bearer available as an option for an extra 80p. 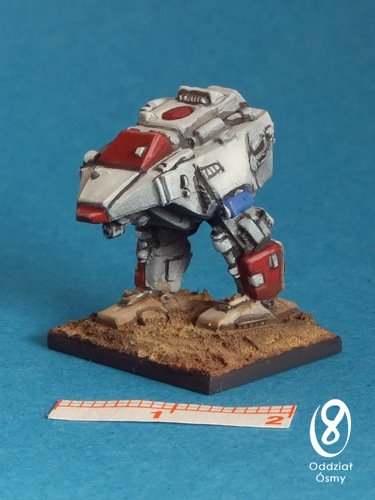 A unit pack of 12 figures including two command is £9.60. Prices include VAT. Fighting 15s is in the gradual process of re-releasing all of Oddzial Osmy’s 15mm Napoleonic line. 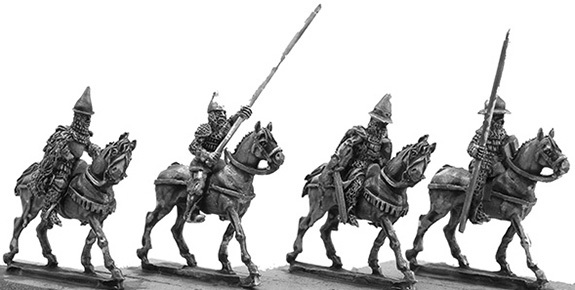 The Saxon chevaulegers join the Krakusi and Russian Cossacks in the line-up of re-releases. For convenience, the figures are listed in the New Arrivals section of the Fighting 15s website. 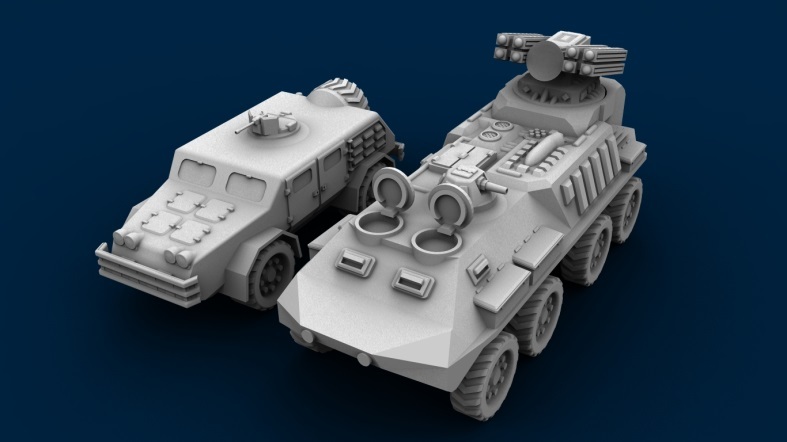 ARMIESARMY IS VERY PLEASED TO ANNOUNCE THE PRE ORDER FOR THE BDB 525 “MUSKOX” MULTIPURPOSE ALL-TERRAIN INFANTRY MOBILITY VEHICLE, DESIGNED BY THE BUZZARD DESIGN BUREAU. AS A SPECIAL PREORDER OFFER, I’LL BE OFFERING 10% OFF AND FREE STOWAGE PACK FOR ALL ORDERS. 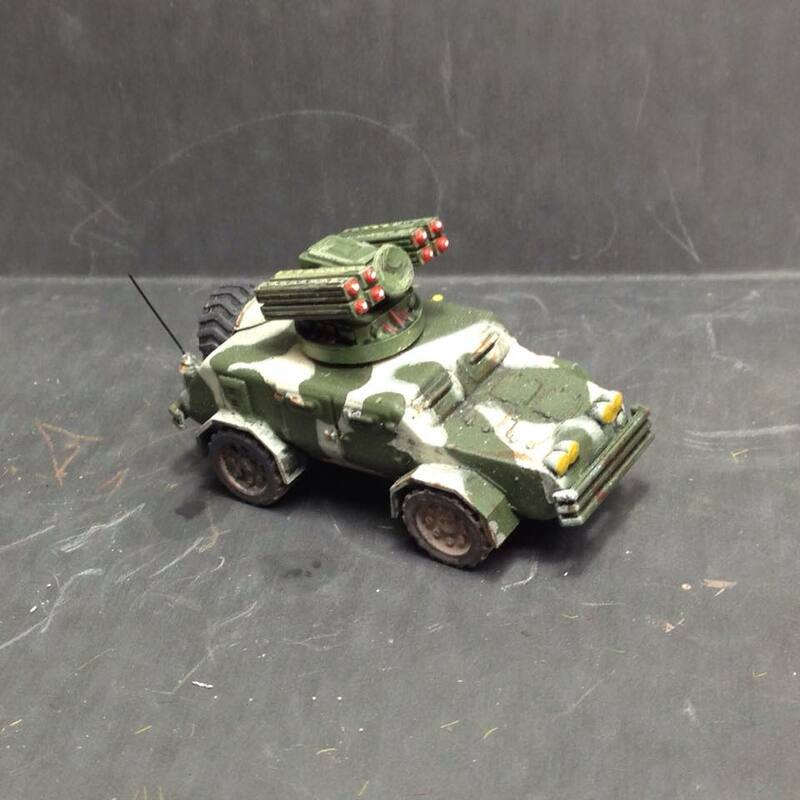 Starting today I will be taking preorders for the BDB 525 multipurpose all terrain infantry mobility vehicle. Primarily used by both the Russian Empires and R.U.S.K armed forces, it is also used by numerous other countries and organizations. Pre orders will each receive 10% off and a ‘stowage/aerial’ pack that can be used for adding that little bit of individualism to their vehicle. I will be taking bookings until the 22nd of December. Vehicles will be shipped within two weeks of the close of this date if not sooner. 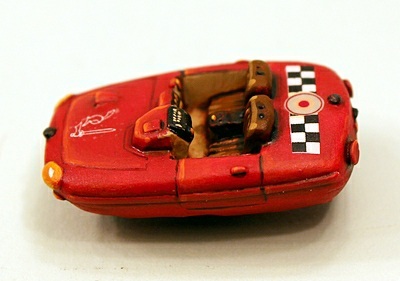 Each vehicle contains 5 metal wheels, 2 metal bumpers (fenders), resin hull and 2 turrets. One closed and one open. The ‘Kornet’ will contain one metal Missile set. Packs are priced at £3.00 each including VAT.